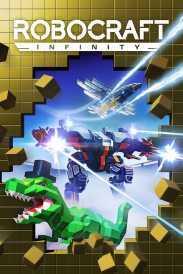 You will receive an e-mail alert when the price of Robocraft Infinity Ultimate Bundle will drop. Build, drive, fight! Create fully customisable robots block-by-block that can drive, hover, walk and fly in the multiplayer combat game, Robocraft Infinity. Equip weapons from the future and jump into the driving seat as you battle for supremacy in multiple 5 vs 5 game modes against players from across the world. Combine blocks in an easy-to-use editor to create whatever robot you desire. Jet cars, tanks, flying warships, helicopters, drones, dinosaurs, scorpions – in Robocraft Infinity the creative possibilities are endless! 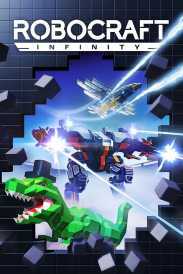 Robocraft Infinity is Xbox One X Enhanced, with improved frame rate and 4k resolution for a better play experience. Players can not only create their own robots, but they can also share their design online and browse other robots.